Newcomer Family Obituaries - Tanya Matsuda 1957 - 2018 - Newcomer Cremations, Funerals & Receptions. Tanya Matsuda, age 61, passed away on Friday, December 14, 2018. She was born in Fremont, OH on July 13, 1957 to the late John and Ruth Atkinson. 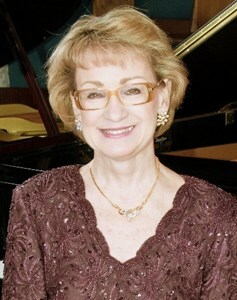 She was a passionate piano teacher, musician, loving mother and wife. Preceded in death by father-in-law, Kazuyoshi Matsuda, brother-in-law, Masahiko Ishida, and sister-in-law, Gail Webb. Survived by husband, Kenichiro Matsuda, daughter, Lilian Matsuda (Nick Gehlfuss), daughter, Emi Matsuda, siblings, Scott Atkinson, Steve (Gail) Atkinson, Randy Atkinson (Susan), and Lori (Rocky) Palombo, mother-in-law, Seiko Matsuda, brother-in-law, Kiyoshi Matsuda, sisters-in-law, Yuki Ishida and Kumi (Takamitsu) Yagi. The family will receive friends from 10 to 11:30am on Saturday, December 22, 2018 at Karl Road Baptist Church, 5750 Karl Rd., Columbus, OH, 43229 where the funeral service will be held following at 11:30am. Add your memories to the guest book of Tanya Matsuda. Sorry to here this. Tanya and her sister Lori were in our Brethern Church Youth group. She was very talented in music. Praying for her family in their loss. God bless you all. We regret we were unable to greet any of you at the funeral today. We want you to know how much we appreciated the entire service. The music was amazing, the testimony of Tanya's life & faith and the clear message of the eternal hope found in Christ was truly a blessing to us. Lillian, we were so glad Meg was able to come and we, through you girl's friendship, have gotten to know you and your family. Our prayers will continue to be with all of you. So sorry to hear of the accident your Mom had. Oh how I can feel the ache in your hearts. My thoughts and prayers are with you. Tanya was a music student of my Dad, Ken Hahn. I have so many wonderful memories of Tanya and her siblings. To her family, thoughts and prayers to you all. I well imagine Dad was waiting for her and they are once again playing glorious music together.